This Womens Texas Rangers Replica Jersey is designed to give an on-field look at a superior value. This White Baseball Jersey delivers comfort and breathability in a lighter wicking fabric for a genuine game-ready look. 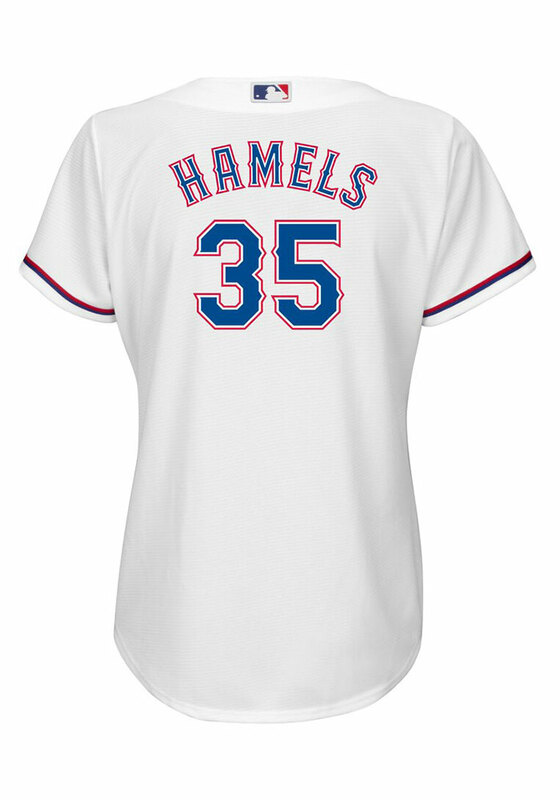 You'll be the best-looking fan in the stadium when you pull on this Texas Rangers Replica Jersey, which features a twill application with team name on front and player name and number on back. Go Rangers! Absolutely love the style of this jersey, so unique!